I woke up this morning thinking about unglazed clay tiles. I haven’t used them for a while and I thought it would be fun try a design with them. The clay tiles are very different from the little glass tiles I’ve been using – the colors are more subtle and varied and they’re not hard like glass. 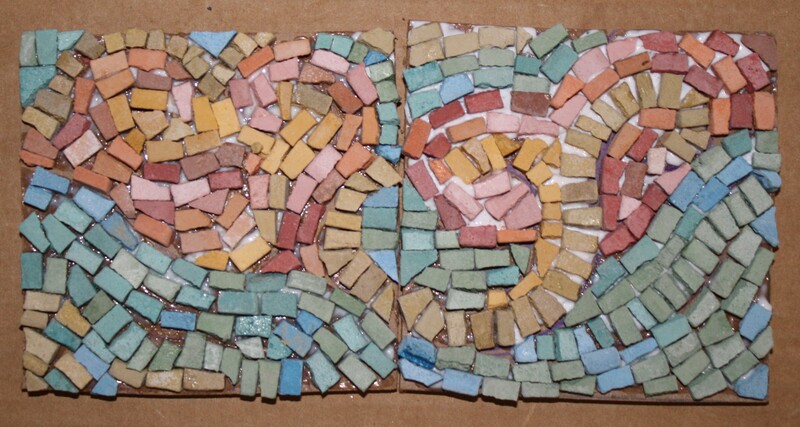 I finished the first one and decided that since I had to create two mosaics today I might as well just continue.